Current: Experience Fatigue because of MS? You could participate in a new research project! 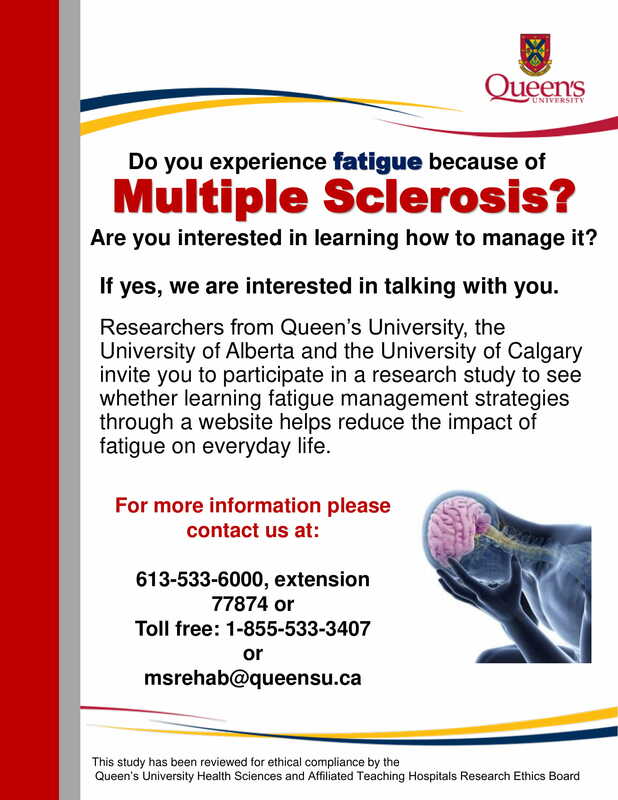 Do you experience fatigue because of Multiple Sclerosis? Researchers from Queens, the University of Calagary and the University of Alberta could use your help!